From breakthrough discovery to agile delivery of innovative products and services around the world, we’ve recently unveiled a fresh new look for our company. Introducing our NEW Clinical category! With our New Clinical category, You’ll now have access to an extensive product portfolio for the medical, dental, physical rehab and animal health markets. 2D tube technology has become prominent in recent years because of the security it provides to valuable samples. Many labs have adopted this technology to alleviate concerns regarding chain of custody and sample integrity. 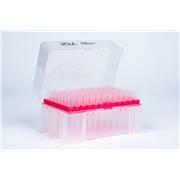 How much time is spent in your lab recapping blood / specimen tubes or finding a stored tube in cold storage? Do you wish you could be doing more productive activities than recapping & searching? With CapTrack™, now you can. Adam Equipment has added two new balance ranges to its selection of lab products — the Equinox and the Solis. Available in semi-micro, analytical and precision models, these balances provide lab professionals with the features needed for a variety of applications. It is with great pride and enthusiasm that I announce that Thomas Scientific has acquired American Cleanstat, Inc. and related assets. With this integration, Thomas Scientific will be better positioned to offer you, our customers, the largest and fastest growing brand centric distribution company focused on serving science! Thomas Scientific has acquired E&K Scientific, Inc. and related assets. With this integration, Thomas Scientific will be better positioned to offer you, our customers, and the largest and fastest growing brand centric distribution company focus on serving science! The performance of even the most sophisticated instrumentation depends on the quality of the solvent in use. In this article, read about key benefits of selecting the right grade of acetonitrile for the application at hand, with a selection table outlining grade considerations for acetonitrile use in HPLC and LC/MS applications. Thomas Scientific has acquired Phenix Research Products, Inc. and related assets. With this integration, Thomas Scientific will soon be better positioned to offer you, our customers, a quality extension of our already vast portfolio and service capabilities, to better meet your needs and expectations. Hamilton’s robust polymer material is manufactured with a high degree of cross-linking making our HPLC columns extremely durable and resistant to any solvent conditions. Hamilton Company manufactures 17 types of polymeric HPLC columns for reversed phase, anion exchange, cation exchange, and ion exclusion separations, providing a wide range of retention characteristics and performance benefits. Buy a VACUUBRAND® pump or system and get $500 (list price) in BrandTech® products FREE! The Microlab 600 offers labs a way to securely monitor processes and greatly increase efficiency. No more adjusting pipettes and recalculating dilutions. Quickly recall stored dispenses and dilutions with Favorites. Trigger the hand probe or tap the foot switch to actuate the syringe drives according to a predefined program. No worrying, no guesswork. Just the best tip on the market. New Diamond Max™ High Speed Centrifuge Tubes offer spin rates up to 20,000 x g! Engineered for high speed centrifugation and meet the demands of the most critical scientific work. All our dispensers are designed with chemical resistant PTFE, PFA and borosilicate glass components. Kimble — Are You Obsessed With Getting Reproducible Results? Are You Obsessed With Getting Reproducible Results? NOW AVAILABLE at Thomas - GE Healthcare HyClone Cell Culture Media, Sera, and Process Liquids. The new UV/VIS Excellence product portfolio includes four models that provide outstanding optical performance: UV5, UV7, UV5Bio and UV5Nano. Spectroscopic workflows are optimized thanks to FastTrack™ technology, which ensures speedy and reliable measurements within a very compact Notepad-size footprint. Trustworthy spectroscopic performance is combined with intuitive and efficient One Click™ operation. The UV5 provides simplicity in UV/VIS spectroscopy with easy direct measurement applications. The UV7 performance complies with strict EU and US Pharmacopeia requirements and provides advanced automation possibilities. The UV5Bio is the ideal instrument for Life Science UV/VIS applications that are based on cuvette measurement. With the UV5Nano, precious sample is saved and wide concentration ranges are reliably measured with only 1 mL of sample thanks to the innovative LockPathTM technology. Protect your work from contamination with one of the industry’s most efficient aerosol barrier assemblies. Our proven range of filter pipette tips, reliably prevent aerosol transfer to give you complete peace of mind when performing your most sensitive assays.